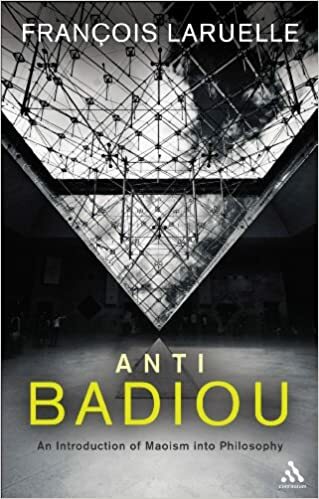 This compelling and highly original book represents a confrontation between two of the most radical thinkers at work in France today: Alain Badiou and the author, François Laruelle. At face value, the two have much in common: both espouse a position of absolute immanence; both argue that philosophy is conditioned by science; and both command a pluralism of thought. Anti-Badiou relates the parallel stories of Badiou's Maoist 'ontology of the void' and Laruelle's own performative practice of 'non-philosophy' and explains why the two are in fact radically different. Badiou's entire project aims to re-educate philosophy through one science: mathematics. Laruelle carefully examines Badiou's Being and Event and shows how Badiou has created a new aristocracy that crowns his own philosophy as the master of an entire theoretical universe. In turn, Laruelle explains the contrast with his own non-philosophy as a true democracy of thought that breaks philosophy's continual enthrall with mathematics and instead opens up a myriad of 'non-standard' places where thinking can be found and practised.